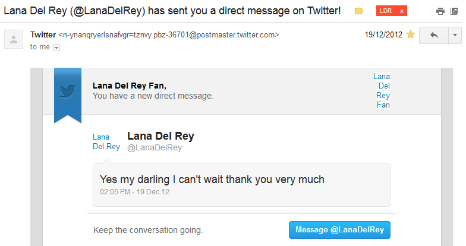 LanaDelReyFan.com is one of the very first fansites ever online and one of the few to be acknowledged by Lana Del Rey herself. Apart from being in contact with her management and representative agencies, Lana Del Rey already recorded a video sending greetings to our management (watch here) and also followed and interacted with us via Facebook and Twitter. Below you can see some of the proves. 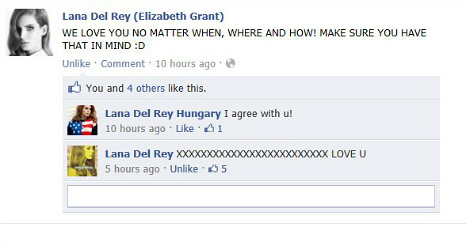 Post by Lana Del Rey (Elizabeth Grant).